Housing in Danville kicked off January with a slight decrease in sales as compared to a year ago. The median price of single family homes held steady while there was an increase in the attached home segment. Since this is a cumulative report beginning this month it is difficult to draw any conclusions as the sample of data used is small. As the first quarter comes to a close we will begin to see a trend of how housing will perform in Danville this year. Do you have specific questions about real estate in Danville? Give me a call. 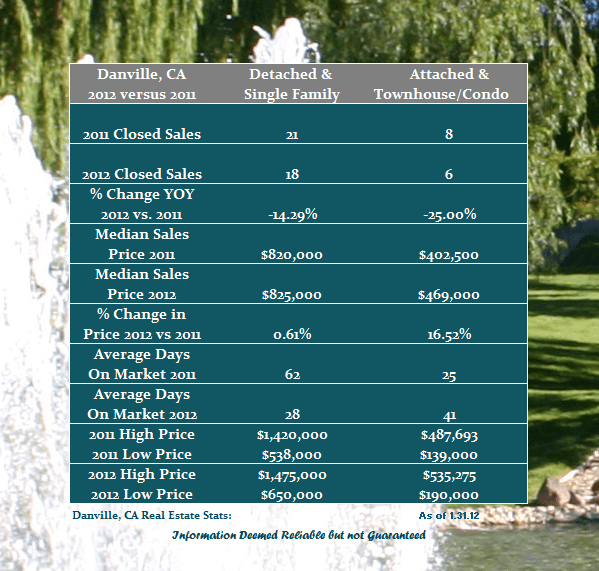 Share the post "Danville’s January Real Estate Update"